Fulton’s Crab House is home to delicious seafood options. However today, it’s all about one unique desert. A decadent chocolate crème brûlée. 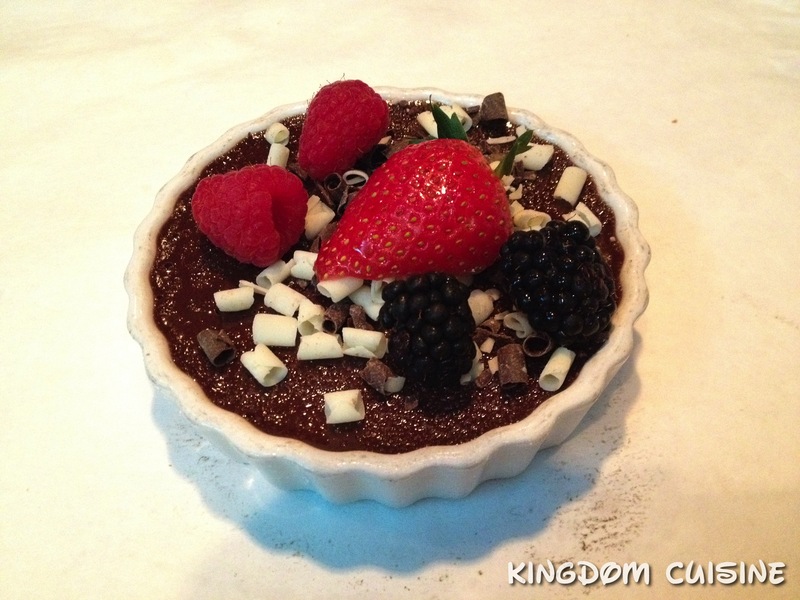 This dark chocolate custard is topped with fresh seasonal berries. As you dive into this delicious dessert has a perfectly caramelized top layer. The dark chocolate custard in this crème brûlée is decadent and very smooth. Paired with the fresh seasonal berries, this fantastic dessert is a lovely way to end your evening at Disney Springs!